Positioned on the farthest brink of country's map, northeast India is one of the world's undiscovered beauties. Sharing the frontiers with Myanmar, Bangladesh, Tibet and Bhutan, this region is an amalgamation zone of intriguing panoramas, cultures and pleasant climate. An area of rugged beauty, northeast India is an empyrean boasting the nature's grandeur at best. 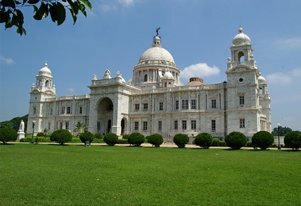 When this tour is mixed with the city of joy- Kolkata, the pleasure increases manifolds. This 06 Nights and 7 days itinerary is a perfect tour covering Kolkata and northeast India. 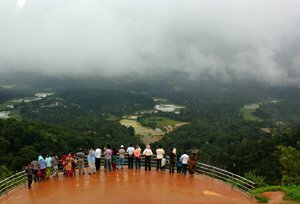 The tour encompasses exploring regions like Guwahati, Shillong and Kolkata. The tour makes the travelers explore the rugged beauty of nature in a comprehensive way. On arrival at Kolkata Airport/ Hwh Railway station, our representative will be there to meet you and transfer you to your pre-booked hotel. Check in to the hotel and enjoy an overnight stay in the hotel at Kolkata. Kolkata-The city of Joy, often known as India's 300 years old Cultural capital. In the morning after breakfast, we will leave for a full day city tour of Kolkata and visit the High court Building, Oldest Catholic Church in Calcutta, Howrah bridge, Vidyasagar setu, National Museum, Victoria memorial, Kali Mandir, etc. Thereafter, we will return back to the hotel for dinner followed by an overnight stay. After breakfast in the morning, we will be free for packing and personal activities. Thereafter, we will check out from hotel and proceed to Kolkata Airport to catch the flight for Guwahati. On arrival at Guwahati, our representative will assist you & transfer you to pre-booked hotel. The evening is free at leisure for shopping. An overnight stay at the hotel in Shillong. Today after breakfast, we will proceed to Cherrapunji (56 Km), the wettest place on the earth. We will take pleasure of a pleasant drive to see roaring waterfalls leaping into deep gorges, including the famed Nohsngithiang falls. The lovely town is also famous for its limetone caves & Orange honey. Watch the Dain-Thlen falls, Noh-Kalikai Falls, Noh-Sngithiang Falls & also drive to the Mawsmai Cave, Thangkharang Park and the Living root bridge. Later return back to the hotel in Shillong for an overnight stay. Day 5: Shillong – Guwahati (100 kms, 3hrs). After breakfast in the morning, we will proceed toward Guwahati. The evening is free at leisure for shopping. An overnight stay will be at hotel in Guwahati. In the morning after breakfast, we will proceed for local sightseeing tour of Guwahati. 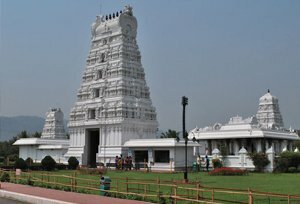 In our city tour, we will be covering Srimanta Shnakardev Kalakshetra, state Museum and Emporiums for ethnic local products, Maa Kamakhya Temple, Nabagraha Temple, Sukleshwar Temple & Balaji Temple. Another alternative avaiable for the day include Brahmaputra river Cruise (Cruise at Edaditional expenses). Today in the morning, we will be free for packing and personal activities. Later, check out from the hotel and transfered to the Guwahati Airport/ Guwahati Railway station gto catch the flight or board the train for onward destination.